The Dr Clown Foundation brings joy to the most vulnerable people of our community. 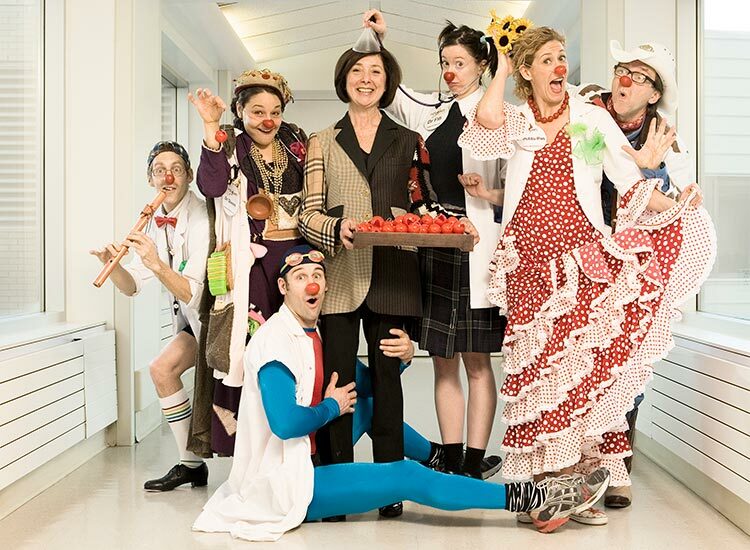 The Dr. Clown Foundation is an innovative arts-in-healthcare organization whose mission is to improve the quality of life of hospitalized children and seniors in long-term care facilities through the interventions of its relational clowns that combine personal contact, games and imagination. The goal is to integrate relational clowns into the establishments’ healthcare plans. The Foundation oversees two distinctive approaches: Dr Clown for hospitals and schools, and La Belle Visite, destined for seniors with a loss of autonomy, residing in long-term care facilities. The Foundation was created in 2002, when four visionary people met: Germaine Gibara, a dynamic business woman, and clown enthusiasts Melissa Holland, Olivier-Hugues Terreault and Florence Vinit.